St Botolph, also known as Botwulf of Thorney is the patron saint of travellers and the various aspects of farming. He lived in the 7th Century AD. His feast day is celebrated either on 17 June (England) or 25 June (Scotland), and his translation falls on 1 December. His remains lie in a tomb at Bury St Edmunds Abbey where they were brought on the instructions of King Canute. More information can be found in Wikipedia. 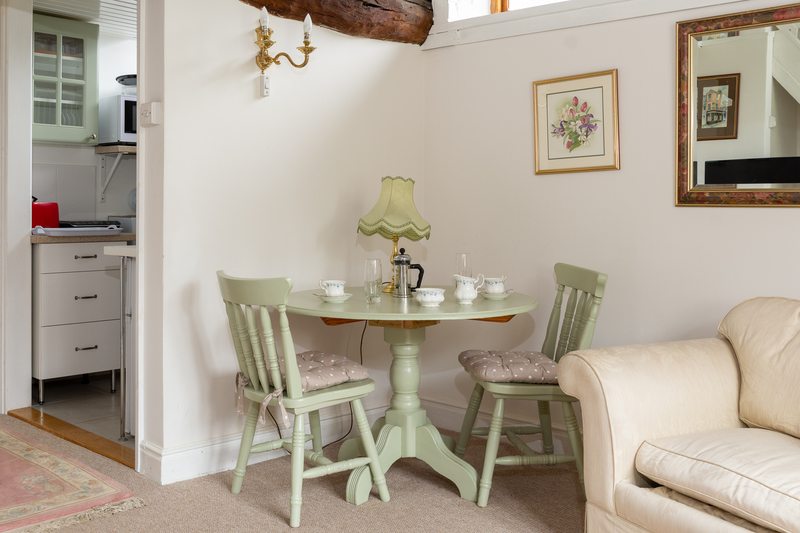 Saint Botolph's Cottage is a self contained cottage, overlooking the garden. 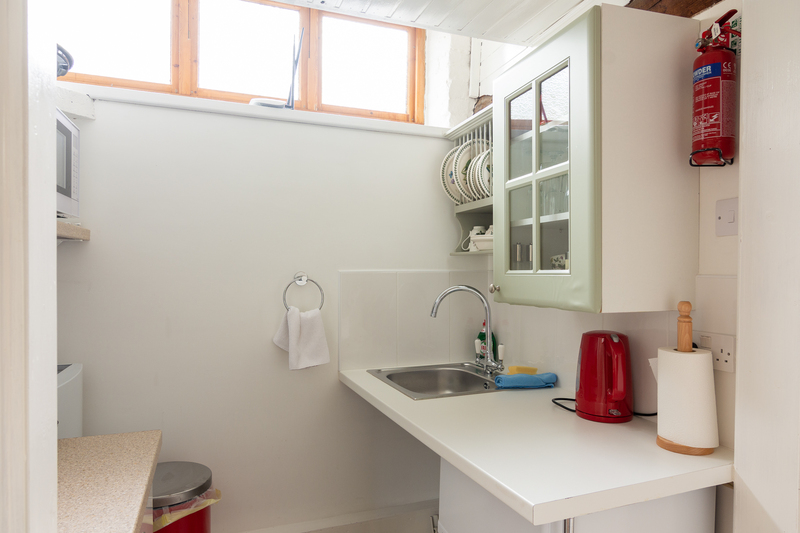 Downstairs is a kitchenette, bathroom and a cosy sitting room. There is a bathroom with a full sized bath and a walk in shower. 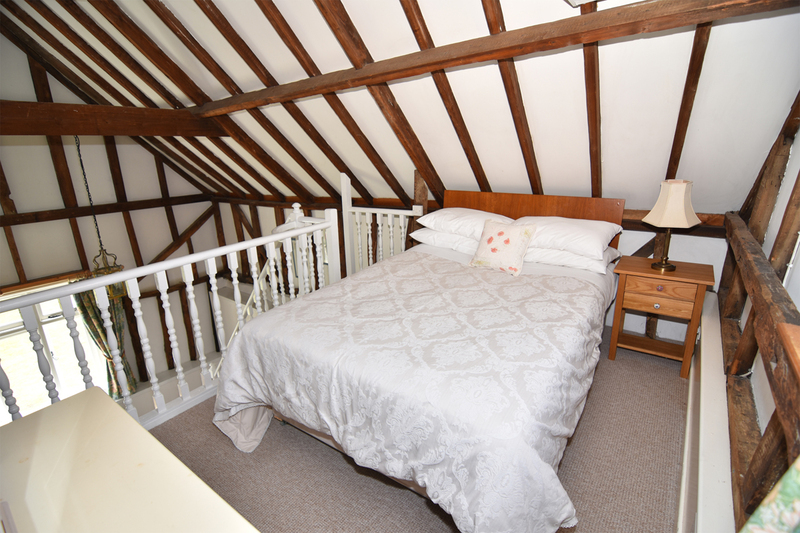 Upstairs on the mezzanine level is the bed. 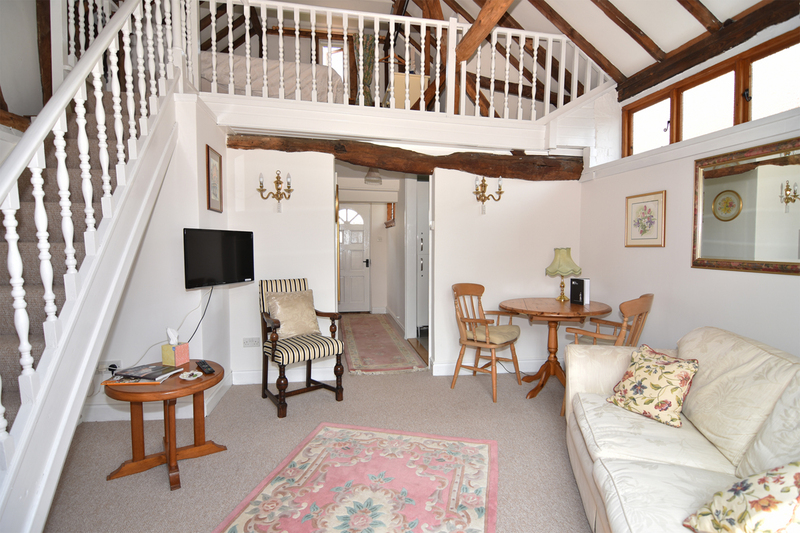 This is a unique and special place to stay, with room to relax or work.